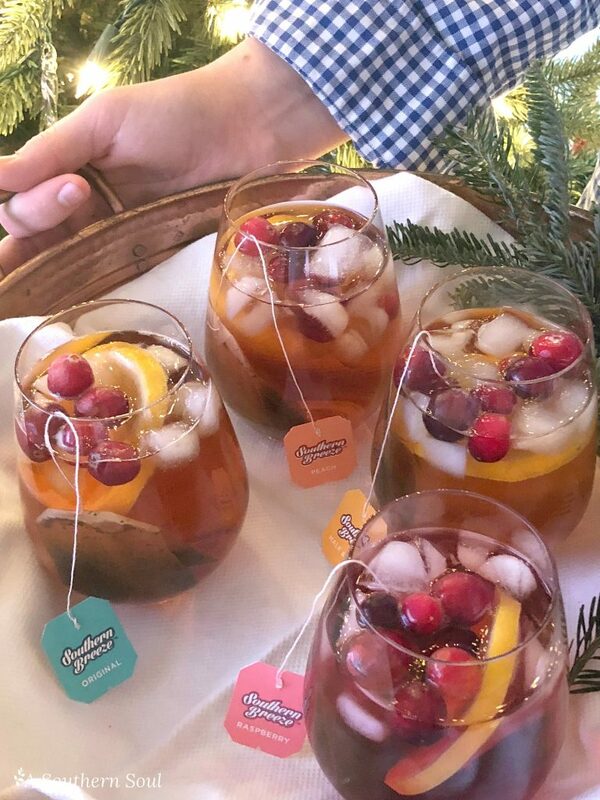 When friends and family gather for the holidays, make sure you serve them only the best! 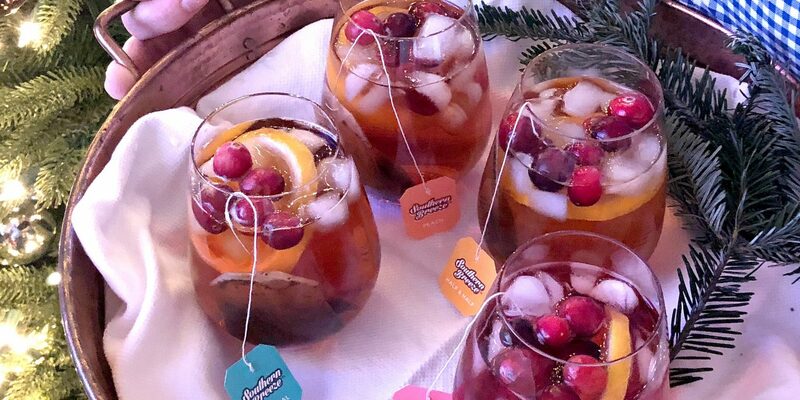 One of my special treats is giving a seasonal twist to my favorite iced tea made by Southern Breeze. 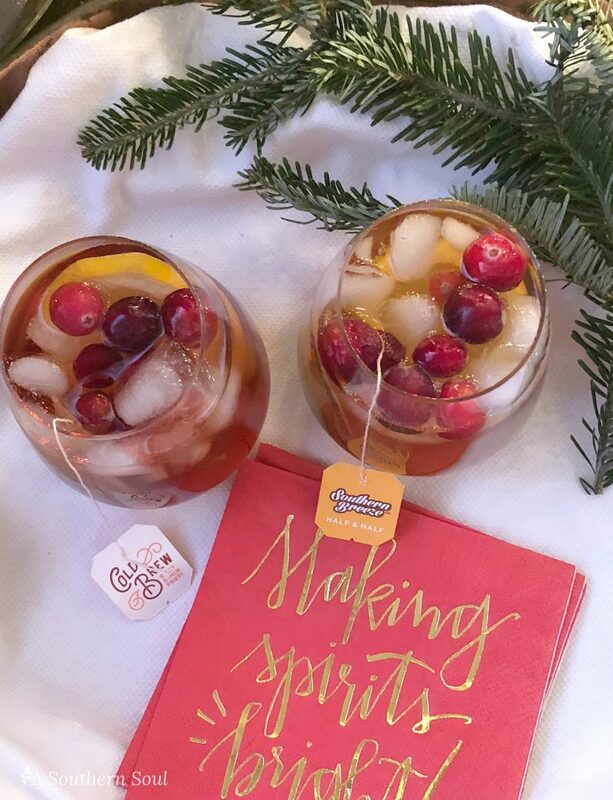 I add frozen lemons, cranberries and a splash of sparkling water to their famous Cold Brew tea! It’s a sure way to get everyone and in a happy, “sparkling” mood! This is a sponsored conversation written by me on behalf of Southern Breeze. All opinions are mine. 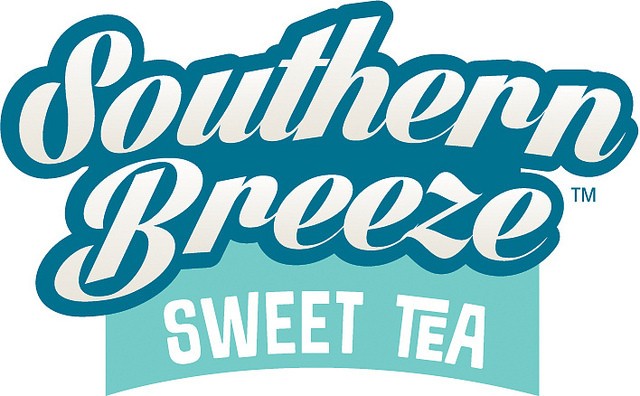 Southern Breeze offers pre-sweetened, individually bagged teas for cold-brewing. 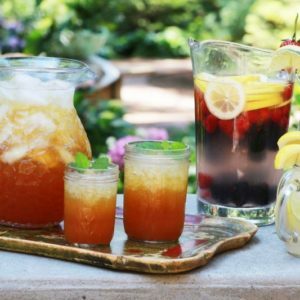 Anyone who loves the refreshing flavor of sweet tea can enjoy a Southern staple without the bother of the traditional brewing process, and it’s also sugar-free. The Southern Breeze cold brew collection includes Original, Peach, Raspberry and Half & Half. Each box holds 20 single-serve bags, so all you have to do is make your own glass of cold-brew iced tea. From Thanksgiving all the way through to New Year’s Day, our home is open to many different types of gatherings. I love decorating for the holidays and making all the special dishes and desserts that we look forward to each year. 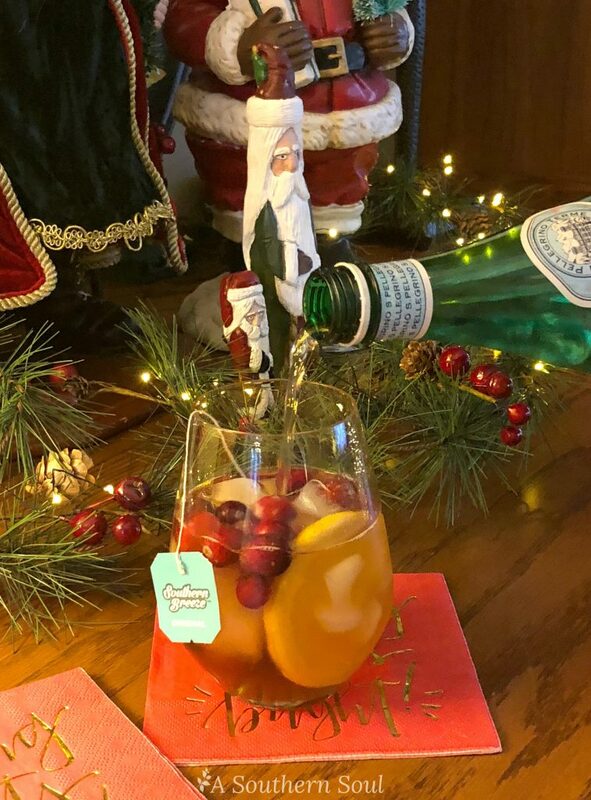 There’s cakes and cookies, special meals and of course, you’ve got to have something special to drink. It’s important to me that everyone feels comfortable in our home so I always provide lots of beverage choices. This year, I decided to do a little some unique. Since Southern Breeze Cold Brew comes in individually bagged teas, I set up a tea station featuring all four flavors. 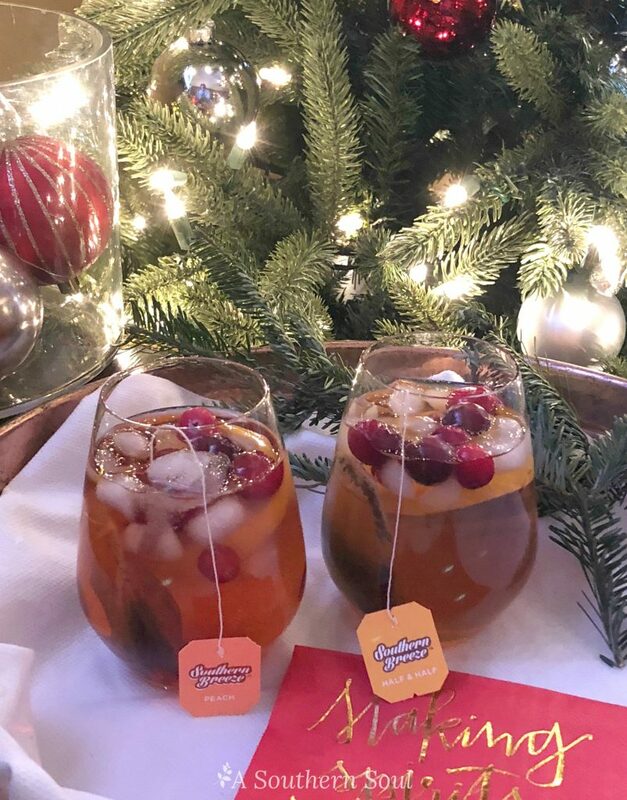 To add a little holiday flourish to my presentation, I offered my guests frozen lemons and cranberries to add to their glass of tea. 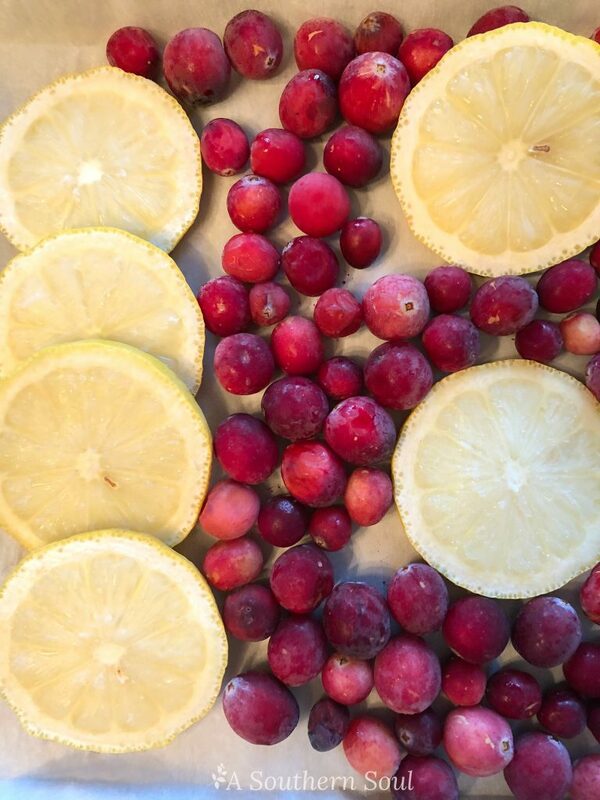 All you do is line a small sheet pan with parchment, lay out sliced lemons and cranberries then freeze until solid. This keeps that delicious cold brewed tea cool throughout your gathering! The last items I placed on my tea station was a big bucket of ice and several bottles of sparkling water. 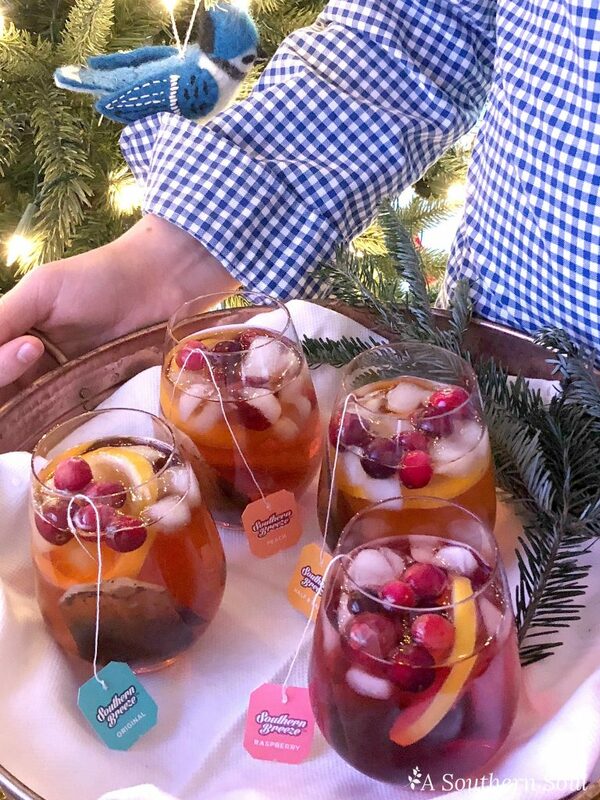 The fresh, bubbly water really gives the Southern Breeze tea a sparkly, holiday lift. 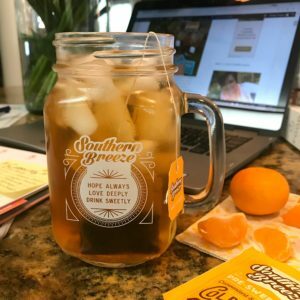 I think the big part of my tea bar’s success is the quality of ingredients I used and Southern Breeze can take all the credit. Their teas are flavorful yet mild. I’ve shared my love of this tea with you before and a big sticking point with me when using sweeteners is that I really dislike that strange aftertaste most leave but not with Southern Breeze . 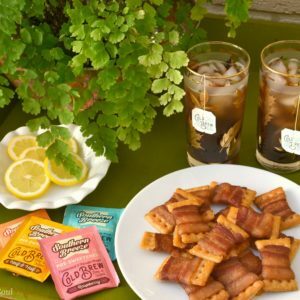 All you do is place a few ice cubes in a glass, pick your favorite flavor of tea, then pour over cold water and magically in a few short minutes, you’ve got an incredible glass of sweet, iced tea. The real key to success with any party is making sure you share your a little of yourself. Use your own style and make your guests feel comfortable, it’s really that simple. Last but not least, you have the most important gift anyone could want…the gift of hospitality. So, open up your home, and start making a few new memories this year. Merry Christmas, everyone!